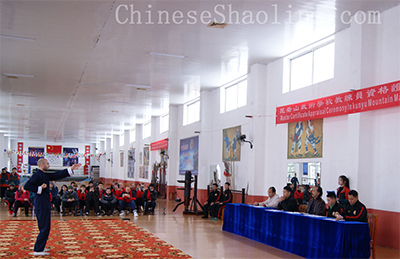 The students can learn traditional shaolin kung fu here with authentic shaolin masters from shaolin temple,shaolin training here can improve health mentally and physically. China Shaolin kung fu is one of the greatest forms of martial arts that has gained a lot of popularity in the recent past. It's movements are rapid, quick and forceful. 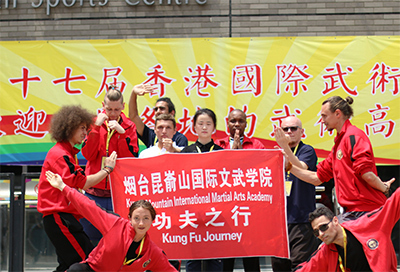 This martial art demands energy, rapid and forceful actions.For one, it has produced great masters in the history of China and also boasts a variety of techniques and philosophies that increase the spiritual growth in both young children and adults. In fact, shaolin martial arts also involve training on culture tradition and helps students deepen their knowledge about "the Chinese way." Our students love and appreciate learning this wonderful art and taking advantage of all its benefits. 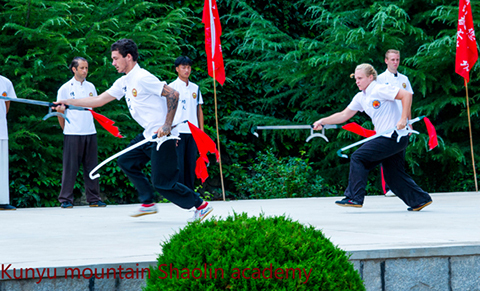 There are five major schools of shaolin kungfu: Song mountain shaolin, Fu Jian , Guangdong , Sichuan and Hu Bei shaolin. It started with small schools and styles within the Shaolin art. 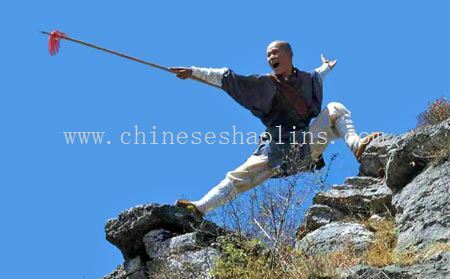 Nowadays,we can say they are northern and southern shaolin.The shaolin is rich and colorful in its contents.Some of main boxing routines include Dahong Quan(Quan mean Chuan or boxing),Xiaohong chuan,Pao boxing,Luohan quan,zhaoyang quan,tongbei boxing,plum blossom Quan,Long chuan,Steven start Quan,hear-yin quan,Soft Quan,and others lots of kinds of application an combats skills,and some of them are relevant with health keeping kongfu,medicine,and Chikung,etc,that all are very important cultures tradition. 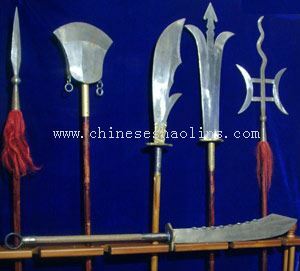 Weapons:Shaolin staff is very important part in shaolin weapon,they are Shao Huo Staff, Qi Mei staff, Liu He stick, Yun Yang stick,Pai stick, Monkey staf, Da Mo staff ect.Spear, 27 famous spear, 33 famous spear, Six-he spear,Yang style spear, Luo style spear,ect. 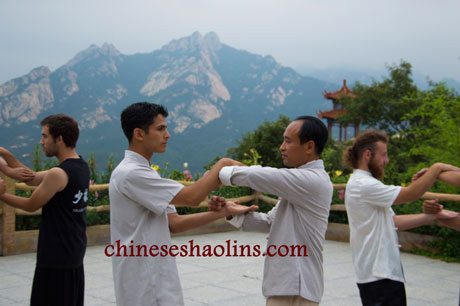 and single Broadsword,Mei Hu Broadsword,Gun Tang,Qian Kun,Seven star sword,tiger head hook, nine-sections whip,etc.and other techniques locking joints, pressing points, soft Chi Gong, Hard Qi Gong, iron sand palm and shaolin 72 techinques,etc. 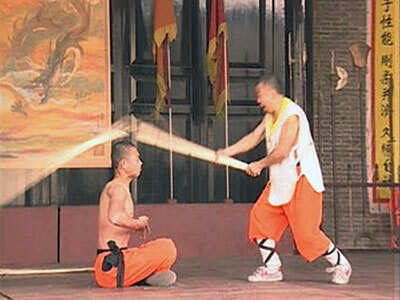 Shaolin can be traced from around 1500 years ago. The first original shaolin temple was located at the foot of the Song mountain. 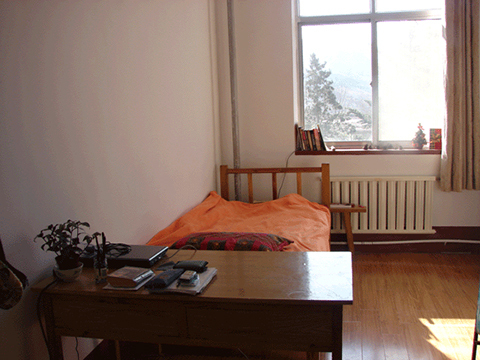 Historically, it was established by the Indian monk who had come to spread Buddhism in China. However, the temple was later closed, Later on, the temple was reopened after two years. Ta Mo, a Buddhist, is believed to have been admitted in the first temple in Northern China. However, during this time, most of the monks used to fall asleep during training. At other times, he would notice that the older monks developed frequent physical problems due to the extensive training and meditation. To alleviate this, he introduced 49 postures designed to keep people awake. Some of these were the very first forms used in Shaolin training.Despite the slow initial take off, shaolin martial arts now has modern techniques that have been found to be quite effective. There are huge content and forms in shaolin martial arts, some of main ones include: internal Gongfu, external kung fu, hard one, light one, Qi gong, and so on. Internal training is different from light kung fu. The former focuses on practicing the strength of one's body while the latter focuses on the jump - especially Chikung, which helps in maintaining Chi. Shaolin teaches the use of hand-to hand defense, the use of weapons, or a combination of both .Forms used include: straight sword, spear, combat, performance sparring among other forms. Once a trainee is trained on one level, they proceed to the next depending on their mastery. It is progressive and trainers put effort to ensure learners get from one level to a more advance level in an appropriate amount of time. Shaolin monks performing hard Chi kung. One of the best things the masters of our school do is to make sure our students can learn traditional shaolin martial arts with their masters. Due to this diverse variety, there are lots of techniques of shaolin martial arts,our shaolin monk trains you on the styles that you want to pursue. The monks in school are highly qualified, as they require theory,flexibility, strength and even the ability to endure pain. This is one of martial arts that preaches non-violence and other principles that enhance wellness. The monks will normally undergo intense training (for mind and body) to create resilience and bring out the importance of having mental, spiritual and physical harmony. 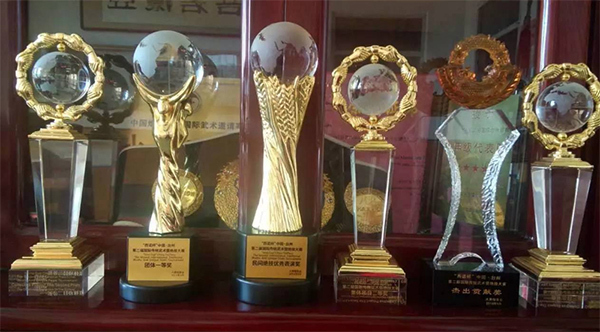 In fact, China takes pride in having some of the greatest masters in martial arts. All this is practiced in a shaolin monastery.Age does not determine who can train for shaolin kung fu. However, if you have health problems or previous injury, please let us know so the master is able to pay attention on it during your training and give you a customized schedule to ensure that it suits your needs. As you will realize, all forms of techniques in the world are now available in shaolin kung fu. You will find masters who are qualified in teaching them to motivated and open students. 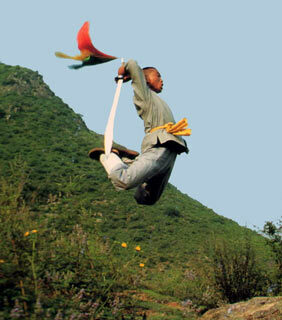 Introduction on shaolin kung fu China is not meant to flight somebody; rather, it is designed to promote healing. Simply put, this is an art that will promote courage, confidence, clarity and a zest for life. While other martial arts may focus on training that entails hurting an opponent, the spirit of shaolin mainly teaches love and gentleness. Thus, it would be right to say that shaolin kung fu is about love and wisdom.The spiritual aspect has also made it quite popular across many cultures. It transcends ritual religion and thus qualifies as one of the greatest forms of martial arts in existence. 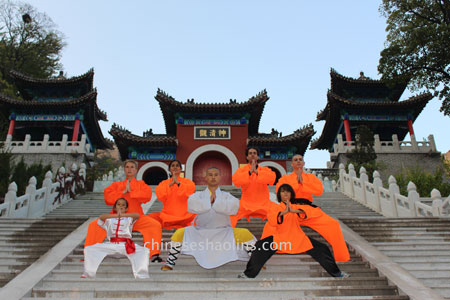 Training shaolin art include forms,theory,applications,weapons,Chi kung fu,etc and it involves other aspects that are also important in attaining higher levels of spirituality. foot Skills is one of the important basics in shaolin boxing. forward step, retreat step, jump step, flying step, moving step,hoping step,etc.